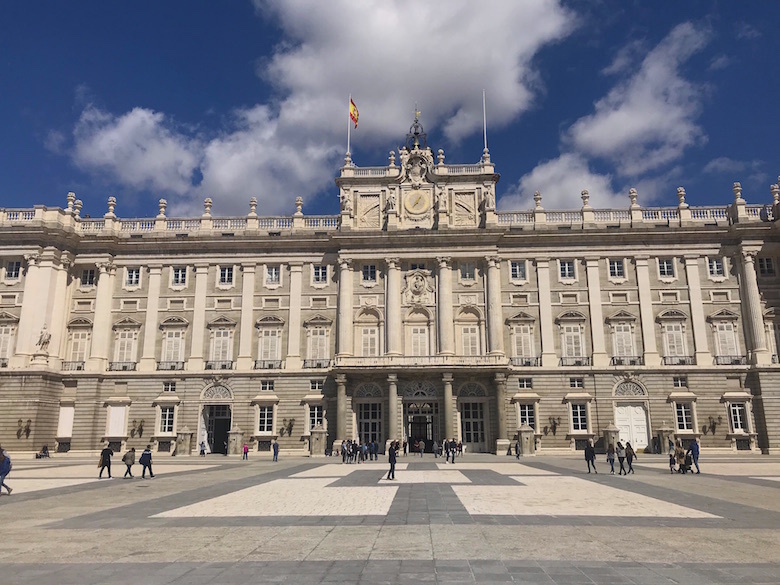 The Palacio Real is located in the middle of the Spanish capital and was commissioned by Philip V in the 18th century. Juan Bautista Sachetti, son of the Italian architect Filippo Juvarra, built the three-winged complex from 1734 to 1764. The palace has a 500-meter-long side facade and around 3000 rooms and halls. Today the palace is used exclusively for state receptions, banquets and tourist tours. The lovely Sabatini Gardens next to the palace are also worth a visit. 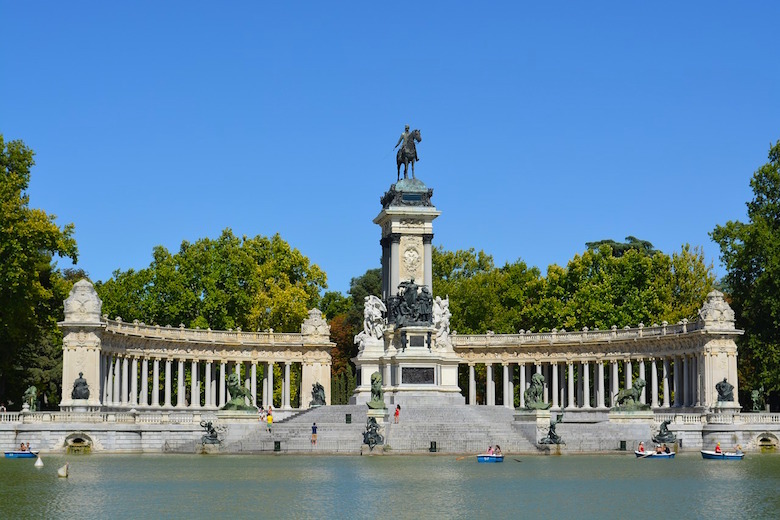 The Buen Retiro Park is one of the most beautiful parks in Europe. Originally, the park served as a recreation area for the royal family. Today it’s a green oasis for athletes, music groups, sunbathers and tourists. One of the highlights is the Palacio de Cristal. It is a glass pavilion built in 1887 and used as a conservatory for exotic plants. The Mercado San Miguel is arguably the most famous food market in Madrid. 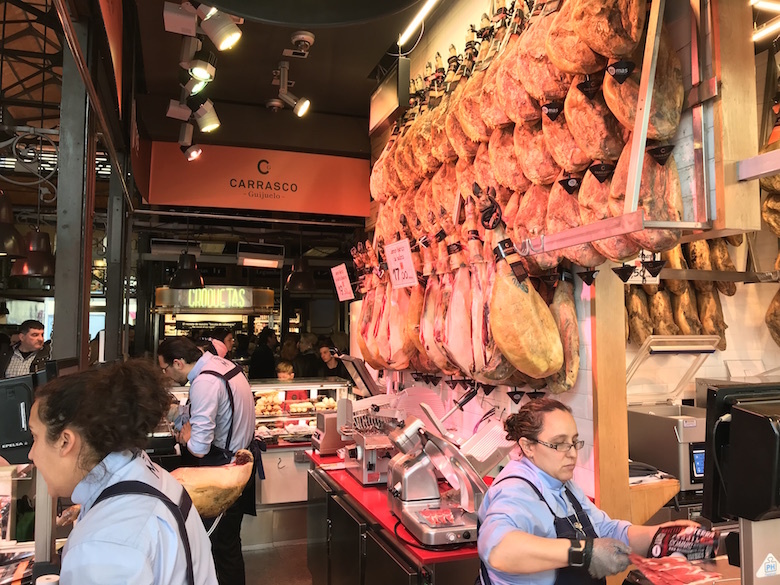 Since the renovation in 2009, the Mercado San Miguel is primarily a foodie location where you can get wine, ham and all kinds of tapas. The tapas are served cold or freshly prepared in open kitchens. There are 33 market stalls where visitors can admire and taste all the good delicacies. 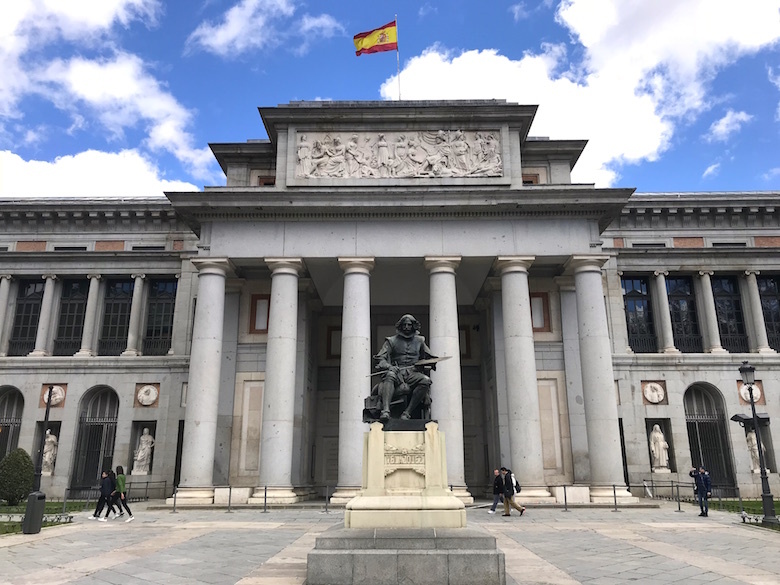 The Museo del Prado is one of the largest and most important art museums in the world. The collection of the Prado includes more than 7.000 paintings of famous painters like Goyas, Rubens and Velázquez. The painting “Las Meninas” by Velázquez is one of the most famous paintings in the world. You need at least three hours to admire all the collections. The Plaza de Espana is famous for its monument of the Spanish national poet Miguel de Cervantes. It is considered the center of the park and is easily recognizable from every corner due to its imposing size. 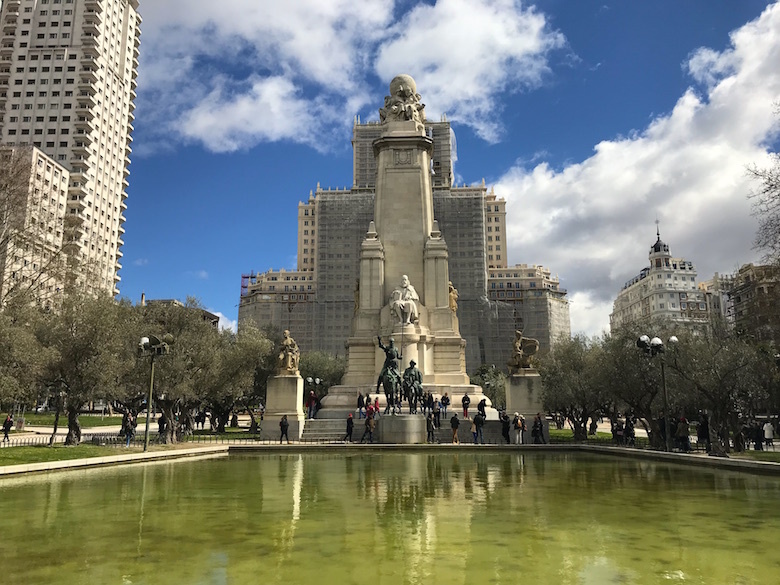 At the feet of the poet you can find the statues of Miguel’s most famous fictional characters Don Quixote and Sancho Panza. 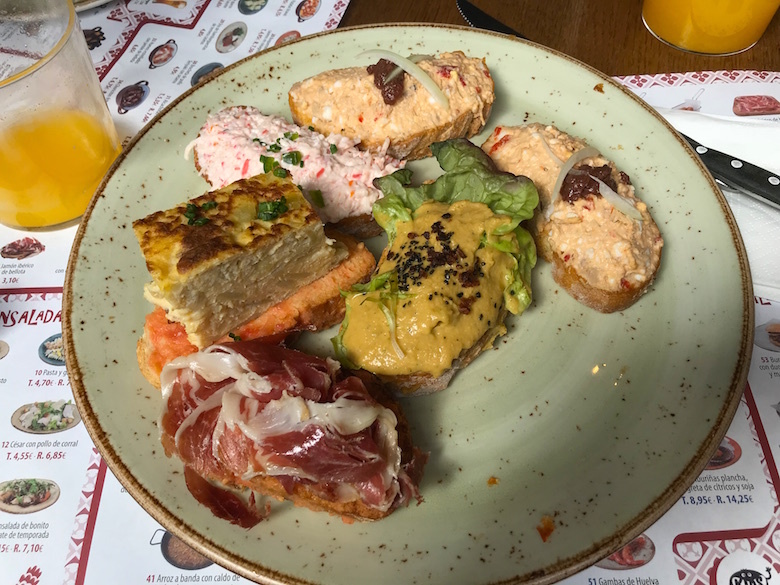 Although Madrid is rivaled by other cities for the title of “Tapas Capital”, it wins hands down when it comes the variety of tapas. Especially in the old town you will find classic tavernas and modern eateries that offer amazing tapas. If you are into a creative menu with outstanding tapas I can recommend the restaurant “La GASTRO”. If you are into delicious common tapas dishes I can recommend the restaurant “El Viajero” with its lovely outdoor terrace. 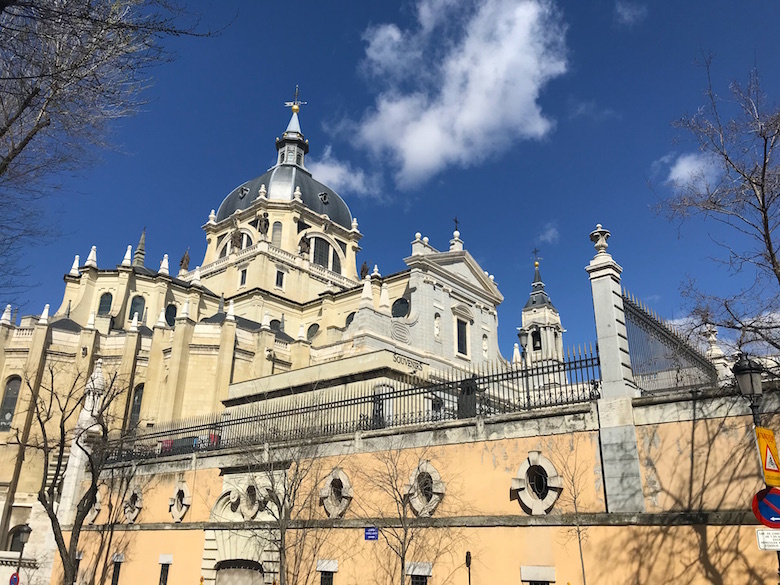 Madrid’s Cathedral is located next to the Royal Palace. The Almudena Cathedral is a relatively recent building. The construction began in the 18th century and was completed in 1993. The interior of the cathedral has some historically significant works of art and modern elements such as the newly designed sanctuary by painter Kiko Argüello. In the crypt are numerous tombs and chapels in which nobles and wealthy Madrid citizens have found their final resting place. 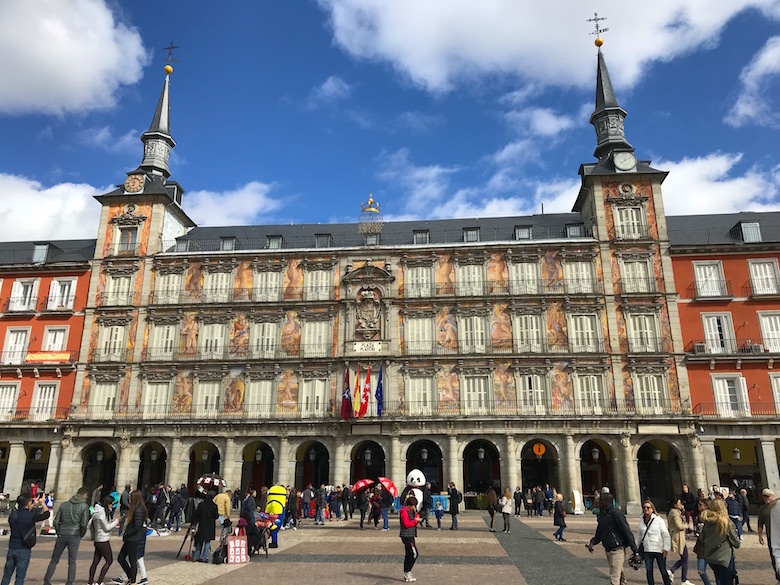 Surrounded by colorful multi-storey buildings with a total of 237 balconies, the square is now one of Madrid’s most important tourist attractions. In the past the Plaza Mayor served as a meeting place and was the scene of theatrical performances, public exhibitions and bullfights. The Gran Via is also known as the Spanish Broadway and is a symbol of modern Madrid. It was built in the 20th century as a link between the affluent Salamanca district and the historic center. The Carrion Building, the Metropolis Building or the Telefónica Building dominate the Gran Via. 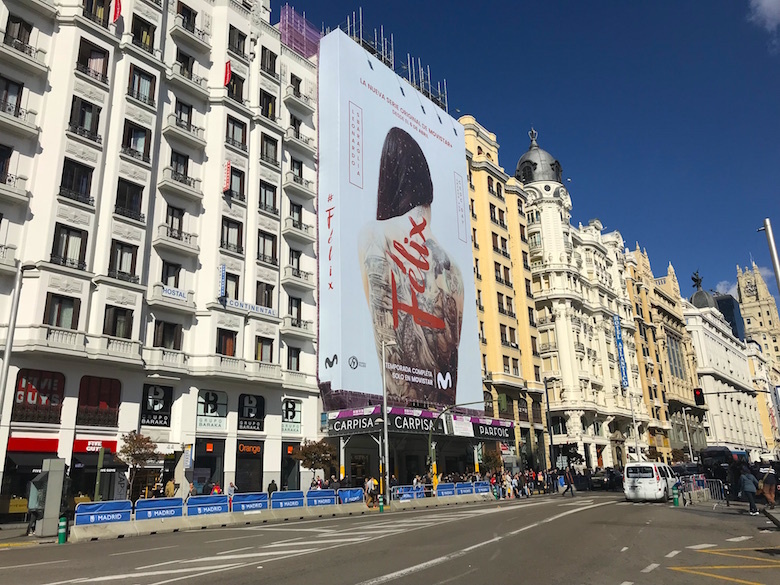 Numerous hotels, theaters, cinemas and shops can be found along the Gran Via. El Museo Nacional Centro de Arte Reina Sofia is Spain’s museum of 20th-century and contemporary art. 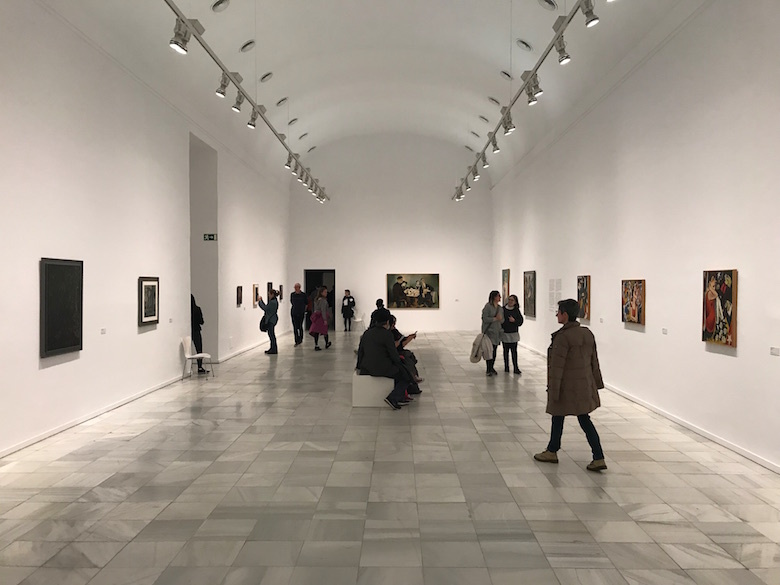 In its permanent collection you will find a number of works by great Spanish artists of the 20th century such as Pablo Picasso, Salvador Dali and Joan Miro. The lovely courtyard of the museum is a nice place to take a break and relax. 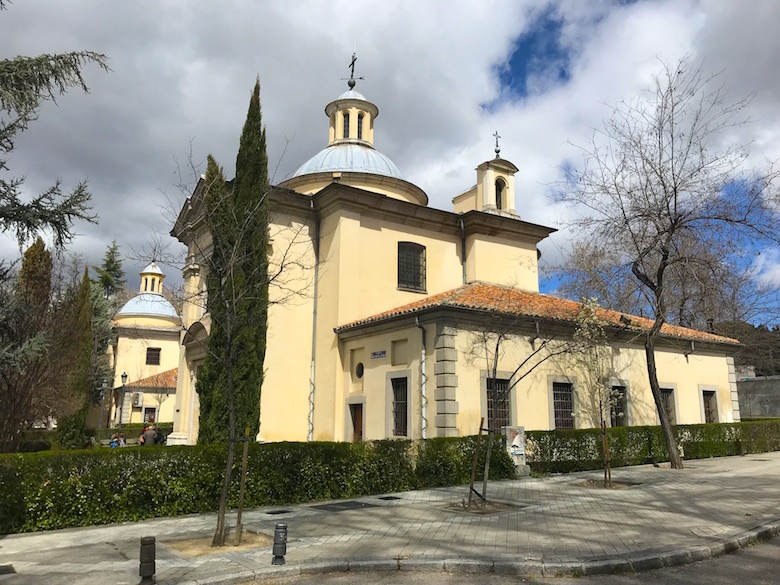 The Ermita de San Antonio is a beautiful little church, which has gained notoriety through the burial of the artist Goya. Particularly impressive are the frescoes and the decoration designed by Francisco de Goya himself. 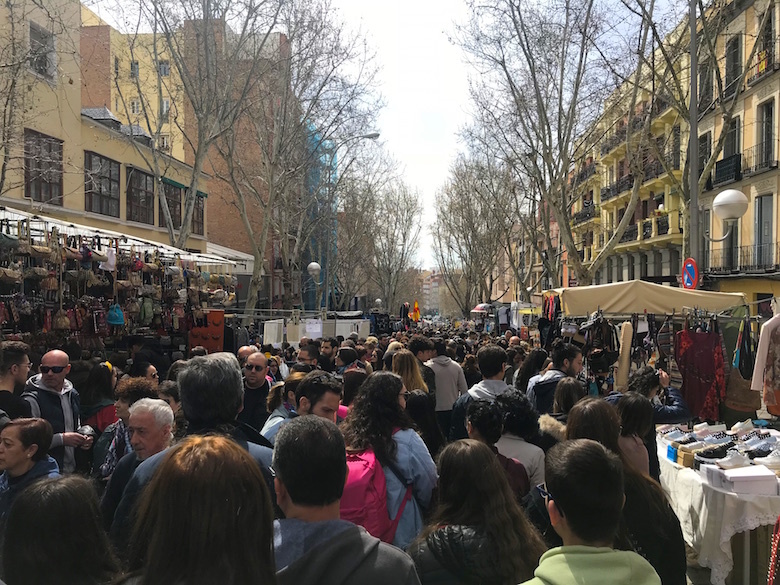 El Rastro is the most popular open-air flea market in Madrid and is open every Sunday and on public holidays. El Rastro has a total of 3.500 stalls. You can buy souvenirs, local products, clothes and many other goods. Even if you are not looking for something special, you should not miss a visit to the flea market.